will be celebrating our 34th Anniversary! 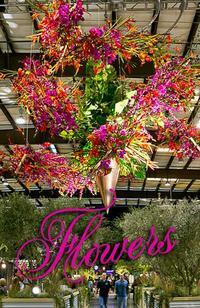 See the designs and watch the demonstrations by world-class floral designers. 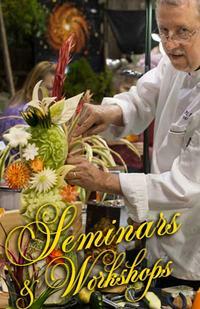 Discover how to create your own remarkable garden with hands-on demonstrations and inspiring seminars. Meet professional gardeners and nursery owners who can answer all your questions … and help solve those nagging problems. Browse a wide selection of specialty shops featuring unique flowers, plants, gifts, tools, and more. Learn how to grow and prepare fresh, home-grown food. You can attend the show or be part of it! Either way, be sure to be there! 1985 – Started as a fundraiser for the San Francisco Friends of Recreation and Parks, the Show was originally held at Fort Mason and was named the San Francisco Landscape Garden Show. 1997 – Salmon Bay Events, a Seattle-based company owned by Duane Kelly, acquired the show. 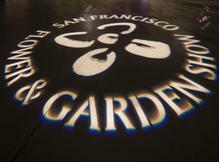 The name was changed to the San Francisco Flower & Garden Show. 1998 – The Show is moved to the Cow Palace in Daly City and covers nearly 6 acres. 2009 – The Show is moved to the San Mateo Event Center. Salmon Bay announces it is closing the Show. At the 11th hour, Special Events, a Bay Area rental company owned by Christine and Weston Cook, stepped in and acquired the show, saving it from closing. 2013 – The Show is acquired by Larsen Enterprises, LLC. 2017 – The Show is moving back to the Cow Palace! After 9 years and endless requests from our Garden Creators, exhibitors and attendees, Larsen Enterprises, LLC announced the return to the Cow Palace for the 2018 Show and beyond. 2019 - Due to unresolved scheduling issues at the Cow Palace and the pending State legislature's move to tear down or sell off the Cow Palace, the Show has found a new home at Cal Expo, in Sacramento. 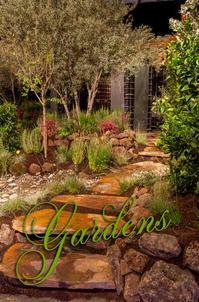 The Sacramento gardening community has enthusiastically embraced the move to their home town! It takes an army to create this Show and we can’t do it without you!. Be a part of the excitement. CLICK HERE to complete a short form and let us know your interest.